Another post in my 'Eating in London' series. I've been blooming enjoying this restaurant/food blogging thing. Like I said before I'm a total foodie so for me this is right up my street and I know a few of you out there are the same. I love cooking also, so once I've got that 'Pinterest' style Kitchen in my life (might be a few years yet) then that'll probably make an appearance too. Again to make note, I don't eat meat although I do eat fish. A Pescetarian/Vegetarian kind of thing. Anyway, onto the nitty gritty and the next restaurant I've been trying out to give you the low down on all of the ups and downs of London eating! I recently visited Shikumen* in Shepherd's Bush after briefly attending their launch event and falling in love with the decor and space. A luxe Chinese restaurant veering slightly away from the generic Chinese dishes we know or adding a bit of a twist to them. I was excited to try as the menu looked to die for and well, like I mentioned before the decor of the space was amazing. The perfect space for a date night or a special occasion! First up the drinks, oh boy, the drinks... We got the Fruit of the Dragon cocktail, I can't remember what was in it, but I'm going to describe it as a mix of alcohol and fruity goodness, but I mean, you couldn't even taste the alcohol. A little dangerous but what I look for in a cocktail, oops! I wasn't really feeling like drinking so I went for the Fruit Cooler, one of their non alcoholic cocktails and it was just as good. 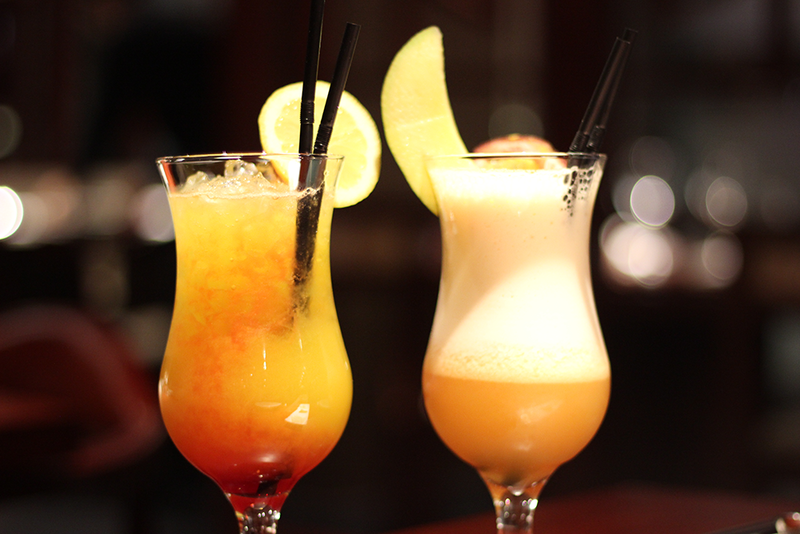 Super fruity and of course delicious! Onto the food and I'm a starter gal through and through. As soon as I saw the Stir Fried Squid with Pepper, Chilli and Garlic (second photo) I just had to have it. 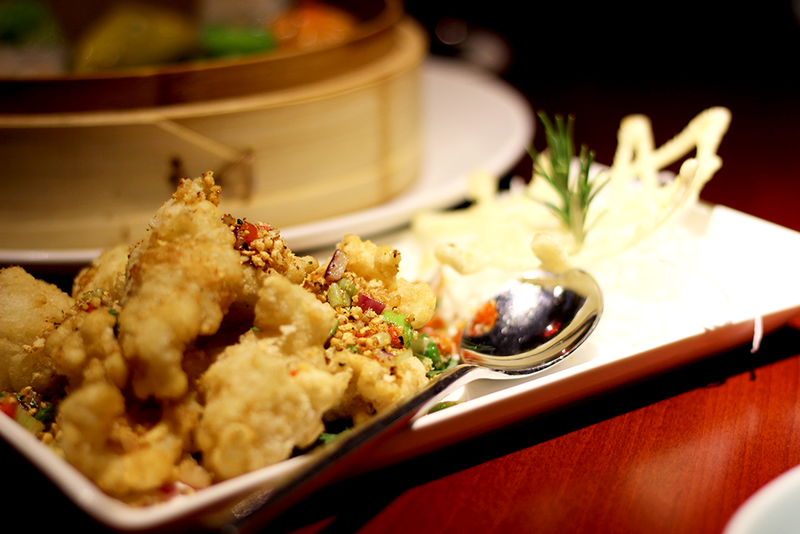 I may have a Chilli squid obsession, I've tried it everywhere and anywhere. I just can't not order it and I'm going to say it, this was the best I've ever tried. It was honestly delicious. The perfect texture, perfectly fried and oh the topping, the topping of the chilli and garlic, oh god it was amazing. If you go, you need to get this. Trust me! 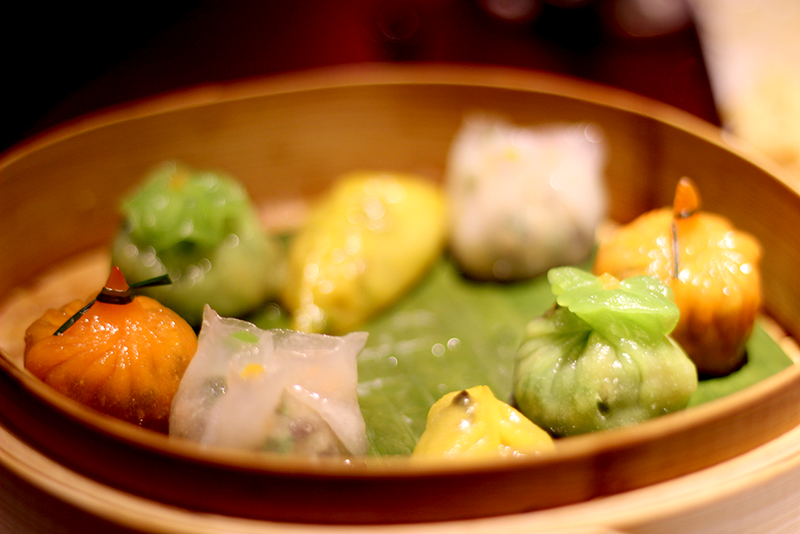 We of course also had to try their Dim Sum and opted for the Vegetable platter and again I was so impressed. Not only did all of the food and drinks come to the table looking amazing but it was tasting delicious. 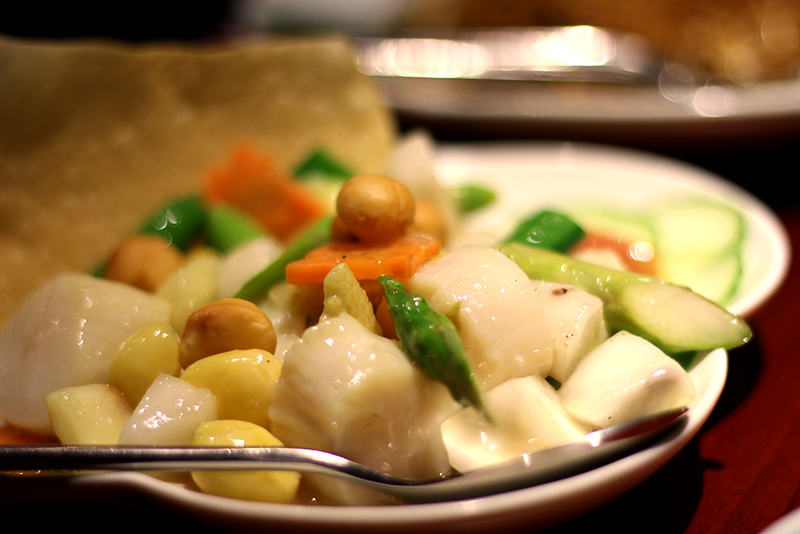 I'm talking a beautiful soft outer shell of the dim sum with crunchy vegetables on the inside. There wasn't one of them that I didn't like and I was surprised! Onto the mains we ordered the Squirrel Fish (partly for the name), deep fried sea bass in a sweet and sour sauce, Stir Fried Scallop with Gingko Nut and Sugar Snap, Fried Rice Vermicelli Noodles with Seafood and Vegetable Fried Rice with Edamame to give is a rounded look at the kind of dishes they do, and of course we love trying out a tonne of different dishes! Now I don't want to get all negative up in this review as I don't usually like talking negative unnecessarily but I just can't not mention this. Instead of the Fried Rice Vermicelli Noodles with Seafood we were actually given the one with Pork, which of course wasn't ideal as both of us don't eat meat. It was served to us and obviously we thought nothing of it, assuming it was the one we ordered and went on to try it. A little later they came over to the table asking apologising and asking whether we'd like to keep this one of exchange it for the one we ordered. Obviously we asked for the Seafood version and I'm really not one to complain and of course didn't but it just really put me off. I'd just eaten meat without knowing and although I didn't like the dish, I was just going to not eat it and note that on here. I didn't want it to ruin the entire meal though so I just tried to put it to the back of my mind and try the rest of the dishes as I had really been looking forward to them. The portions are really big, so perfect for sharing. The squirrel fish was nice, the usual sweet and sour as you'd expect but with the welcome unusual twist of the sea bass in place of the prawns or vegetables I'm used to. The scallop dish was nice though a little bland if having on it's own. It went down okay though as we had the sauce-y-ness of the squirrel fish. My favourite though of the mains was the Vegetable Fried Rice with Edamame, I'm a massive lover of edamame so that definitely egged on my love for this and I'm not sure if I'll put down my love for this due to it being a little plain and okay to eat on top of my uneasy stomach after the meat fiasco but it was really nice and a perfect accompaniment to the other dishes. Honestly, I didn't really try much of the Seafood noodles as I really had been put off but they were nice and I'm sure if the events prior hadn't have happened then I would have liked them. Onto the service and it began so well. I was so impressed. The manager Aneta was so lovely and we could tell how dedicated to the restaurant she was as she told us about how she had to go to her local market to pick up the dragon fruit for the Fruit of the Dragon cocktail before her shifts as it is the only place that they can get them! Really impressed and at the beginning the service was really attentive. I would say though that as soon as Aneta went home, the service dropped and of course meat gate happened and then we just found it to be a little awkward. I still wanted to try out the desert menu but we weren't offered one despite seeing the dishes being given to other diners. They made us feel a little unwelcome so of course we left pretty swiftly once we realised Aneta had left. Despite the few major hiccups, I wouldn't let it shadow the whole meal as the food we did enjoy, we REALLY did enjoy. The starters and drinks were to die for, so if I did head down again I'd probably just stick to them. Though after the hiccup I would say it's put me off a little. Its probably unlikely that this happens all the time so I wouldn't let it put you off the place, but of course I had to mention it as I am always as honest as possible over on here. 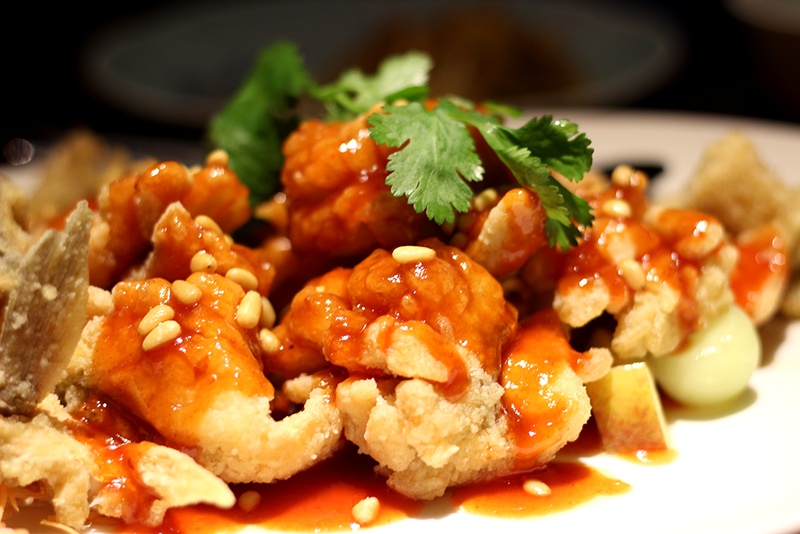 Though saying that I'd have that Chilli squid over and over again any day. What's your favourite Chinese's in London?